"Prepare for the fight of your life. Jump in the ring as Rocky Balboa and go head-to-head against 29 tough opponents, including Apollo Creed, Clubber Lang, Ivan Drago and Tommy Gunn! Train with Mickey and company to pound your way from the streets of Philadelphia to become the Heavyweight Champion of the world! 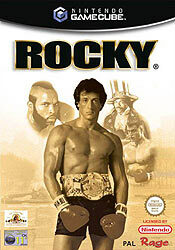 Rocky delivers big time punch combos and flurries with thunderous power and heart-stopping speed." 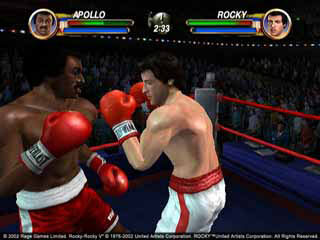 Play as Rocky Balboa as you fight and train your way to the top, first as an upcoming challenger, then as reigning World Heavyweight Champion against 20 tough opponents, clashing with the bosses of the five "Rocky" films along the way. This is how you unlock boxers and arenas for the other modes, extra characters can also be unlocked by completing 'Movie Mode' at Contender and Champ difficulty levels. The no nonsense, straight into the thick of things, mode. 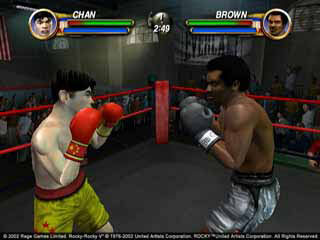 Choose a boxer and go head-to-head against a friend or the computer. 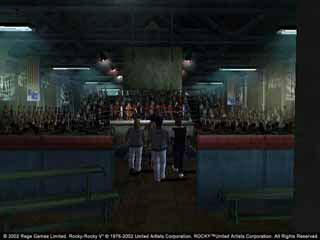 Before the bout begins you may choose where the fight will take place. 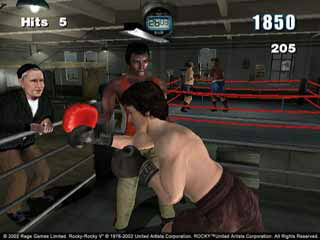 The length of each round can be set in seconds and the number of rounds the fight will last can be chosen. 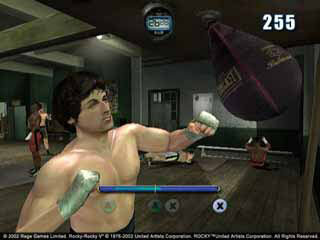 The skill level for the computer can then be selected in single player mode from novice, contender or champ. Enter a Knockout Tournament with up to 16 players. Bronze, Silver and Gold belts are up for grabs. 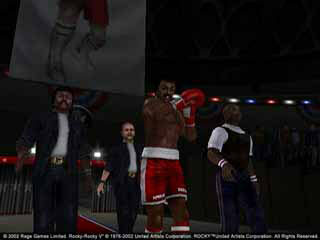 Learn and perfect your boxing skills against one of three hardened sparring partners. Watch the Intro and the FMV movies you have unlocked from 'Movie Mode'."